1930 Bugatti Type 46 faux cabriolet. 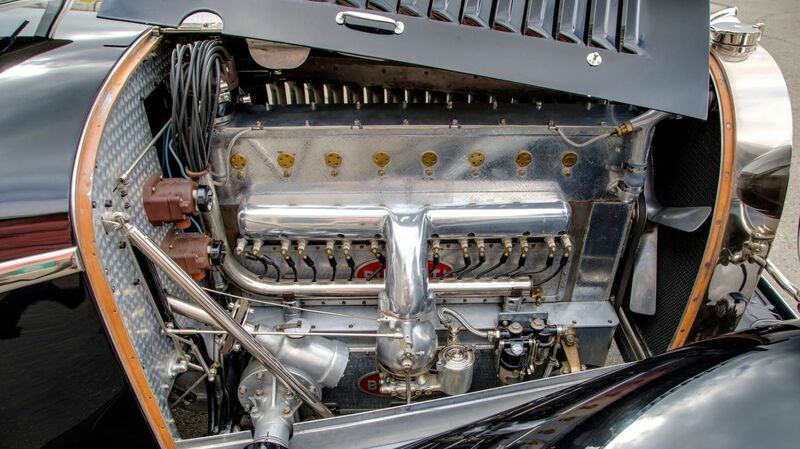 Photos courtesy Mecum Auctions. Accessible to students studying automotive design, the classic-car collection of San Francisco’s Academy of Art University has generally been off-limits to the public, except for the occasionally scheduled tour. That’s about to change as the school converts the private collection into the San Francisco Automobile Museum, but doing so requires paring back the number of cars owned. At last weekend’s Mecum Las Vegas sale, 31 of the 45 cars offered from the collection found new owners, with four making their way into the sale’s top 10. 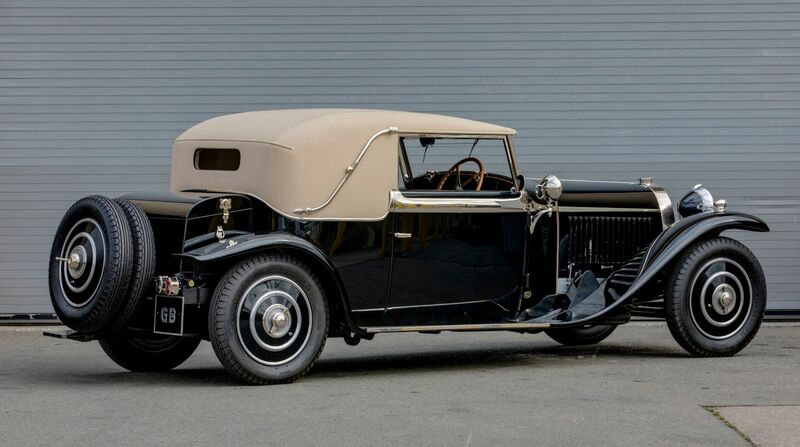 The sale’s topseller — a 1930 Bugatti Type 46 wearing a faux cabriolet body from Dutch coachbuilders Veth & Zoon — was part of the school’s collection, and sold for a fee-inclusive $1.012 million, becoming the only seven-figure car in the auction. Originally sold to C.D. Klos, a mussel farmer from the Dutch village of Yerseke, the Bugatti wore coachwork similar to Klos’ earlier automotive extravagance, a 1928 Bugatti Type 44. Powered by a 5.4-liter straight-eight with a single overhead camshaft and three valves per cylinder, the Type 46 produced a claimed 140 horsepower. 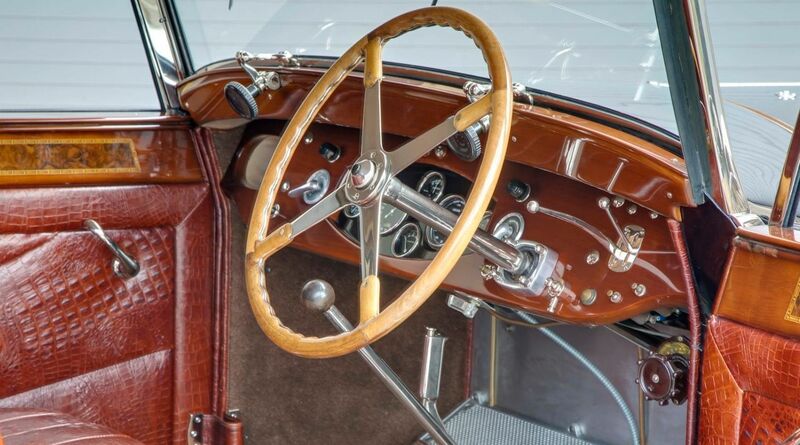 More grand tourer than sports car, the Type 46’s versatility and relative affordability (for a Bugatti, anyway) made it a popular model, and counting supercharged (Type 46S) variants, Bugatti built nearly 420 examples in seven years of production. 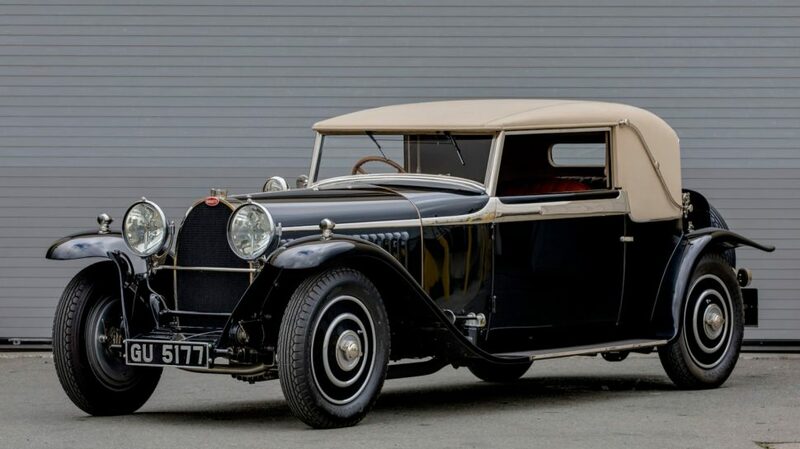 This particular Bugatti Type 46 spent the bulk of its life in the Netherlands, before selling to U.S. collector William Borchert Larson in 2004. Larson tasked U.K. classic-car specialists Alpine Eagle with the car’s restoration, a process that would stretch to six years and cost a reported $500,000. Sadly, Larson would not live to see the finished product, which made its debut appearance at the April 2010 Bugatti Owner’s Club “La Vie en Bleu” show. There, it took top honors in the concours, following up with a second win at the 2011 Bugatti Garden Party at the Prescott Speed Hill Climb. 1930 Duesenberg Model J, with a sweep panel phaeton body in the style of LaGrande. 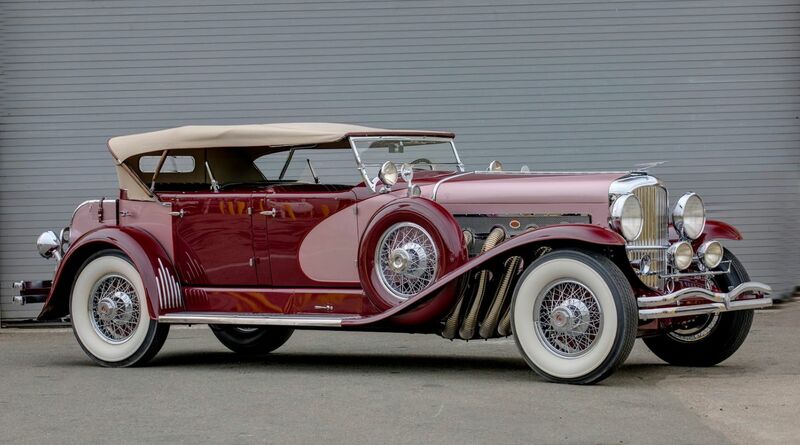 The university’s 1930 Duesenberg Model J was second on the sale’s top-10 list, selling for a fee-inclusive $770,000. While a relative bargain for a Model J, the car’s value may have been impacted by its contemporary coachwork (in the style of a LaGrande sweep panel phaeton), added during a late-1970s restoration. In earlier forms, this Duesenberg is believed to have carried a Brunn Convertible Victoria body, and was originally delivered with a Rollston Town Car body. 1934 Packard 1104 Super Eight dual cowl sport phaeton. 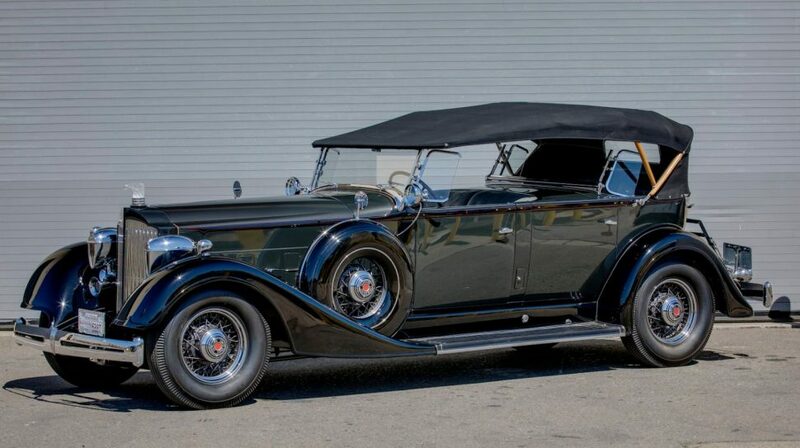 The school’s 1934 Packard 1104 Super Eight dual cowl sport phaeton sold for $258,500, grabbing third place in the auction’s top 10, while a 1935 Pierce-Arrow Model 1245 Silver Arrow from the collection sold for $214,500 to grab the sixth spot in the top 10. Lots from other consignors in the top 10 included a 1959 Mercedes-Benz 300D cabriolet, which sold for $244,750; a 1970 Plymouth Hemi ‘Cuda coupe, which sold for $220,000; a 1930 Cord L-29 cabriolet, which sold for $203,500; a 2012 Terradyne Gurkha RPV Level 7 armored vehicle, which sold for $198,000; a 1999 Lamborghini Diablo VT roadster, which sold for $187,000; and a 1959 Volkswagen Deluxe 23-window bus, which sold for $181,500. 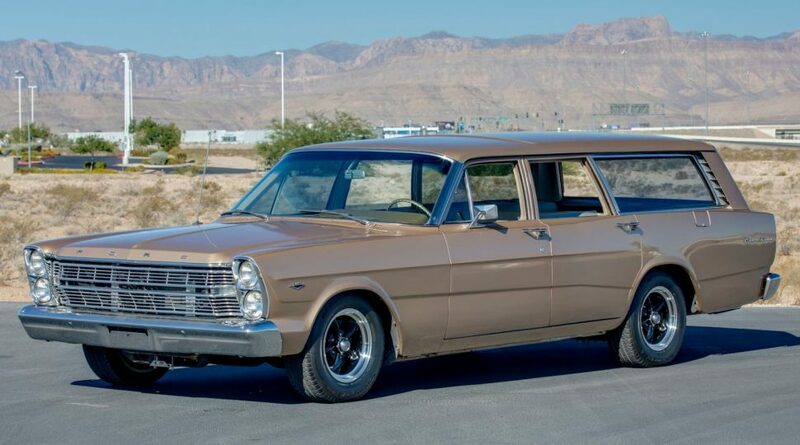 More affordable lots of interest included a 1978 Mercury Grand Marquis, which sold for $4,400; a 1928 Chrysler sedan, which sold for $6,600; a 1959 Austin A40 Farina, which sold for $7,425; a 1975 Chevrolet Monte Carlo, which sold for $5,500; a 1966 Ford Ranch Wagon, which sold for $8,250; a 1964 Chrysler Imperial Crown, which sold for $6,600; a 1947 Frazer Manhattan, which sold for $8,800; a 1966 Rambler Classic 770, which sold for $6,600; a 1941 Dodge pickup, which sold for $9,350; and a 1967 Oldsmobile convertible, which sold for $8,800. For complete results from Las Vegas, visit Mecum.com.